In some school districts in the United States, students are provided the choice between different curricula in high school. Some students, for instance, are given the opportunity to enroll in advanced classes in math and the sciences. Obviously, the presence of more academically rigorous tracks means a stratification within a school. Taking an advanced course can essentially lead to a greater opportunity to learn in the years to come when the advanced course serves as a preparatory stage for future courses. These future opportunities afforded by advanced courses taken in high school can translate to better college preparation and success later in a career. Limiting the enrollment to these advanced courses based on prior performance or achievement basically denies the opportunity and exposure to students who fail to meet a given threshold. 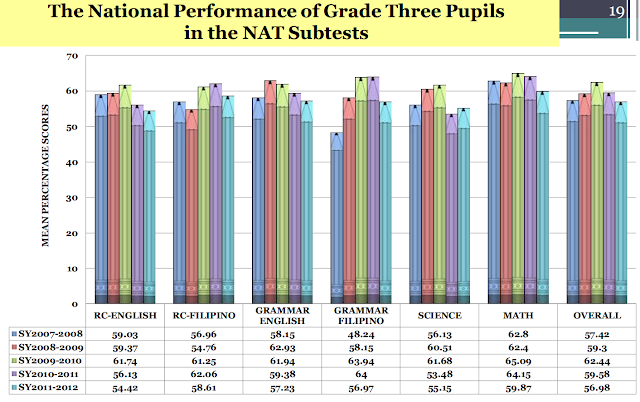 This is an example of inequity in basic education. And there is plenty of evidence that students of low socio-economic status as well as minority groups are often missing in these advanced classes. For this reason, basic education must have a common core. Every student must be given the opportunity to succeed. Advanced academics should be given to all. In the Philippines, only the students who are in the Science Technology Engineering Mathematics (STEM) strand of the academic track will be taking courses in chemistry and physics. 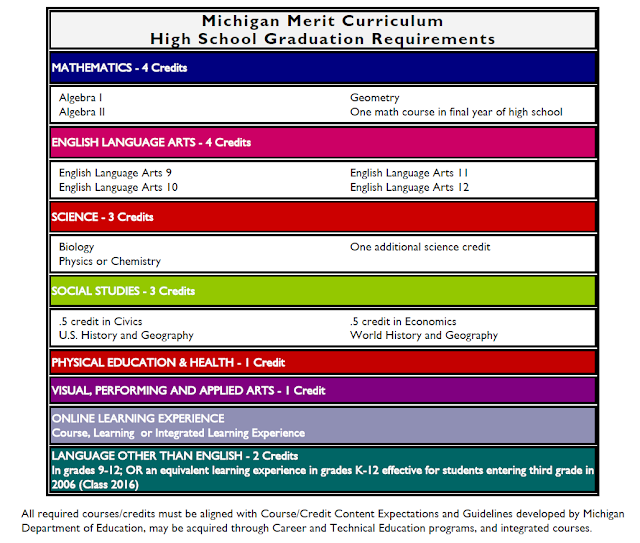 In Michigan, all are required to take these courses. Perhaps the greatest success of the policy, as evidenced by this data, is the increased parity in course-taking across SES status. When we look at the policy impact heterogeneously, we see that all of the changes are driven by students attending schools in the bottom two thirds, with regard to a fraction of the economically disadvantaged students. If, as suggested by a significant body of research, inequality in access to courses drives some of the observed differences in academic performance among disadvantaged students, then this policy has successfully addressed this issue. 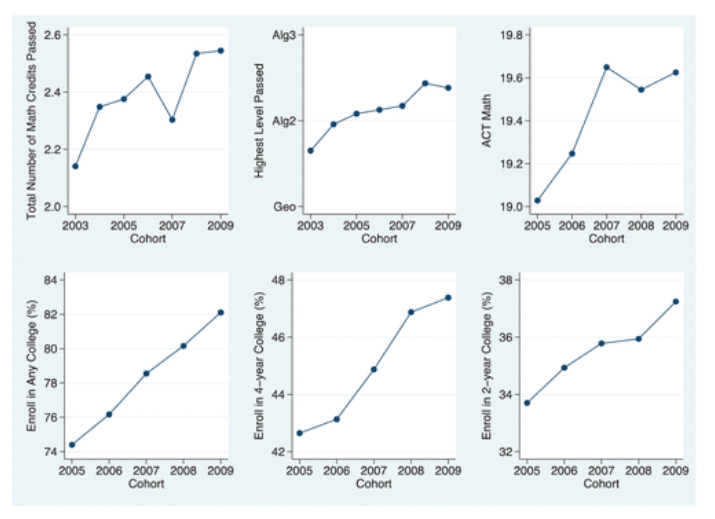 Far more students in these schools are taking—and passing—these courses. 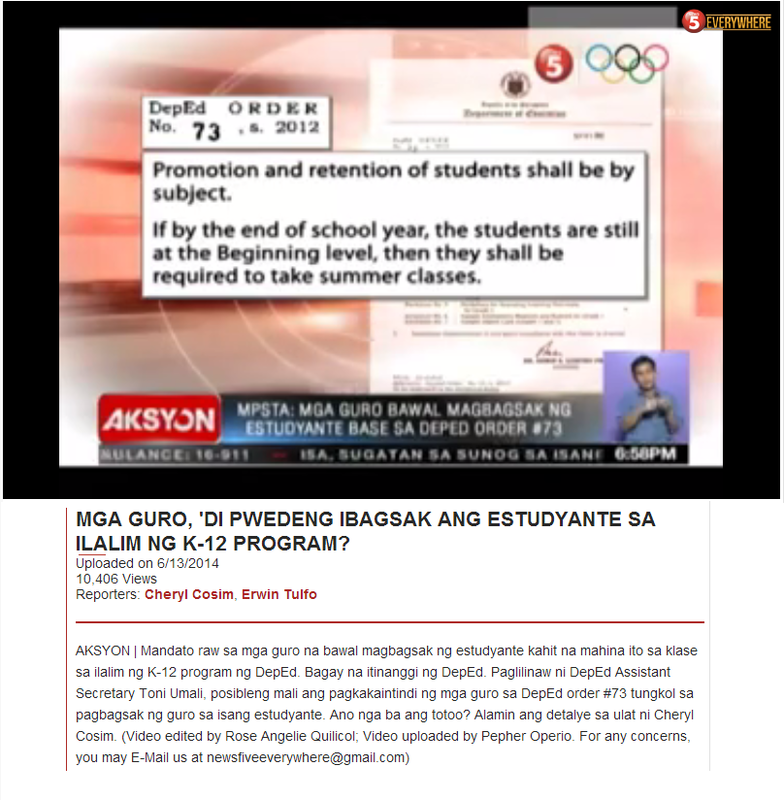 The above only highlights why the Philippines' Deped K to 12 is the exact opposite and therefore, a step in the wrong direction. What is happening in the Philippines is that children from low income families are simply denied the opportunity of going into higher education.